It’s Episode 159 of In the Mood for Podcast, a British-based film podcast hosted by Calum Reed of Ultimate Addict and Pete Sheppard of In the Mood for Blog. 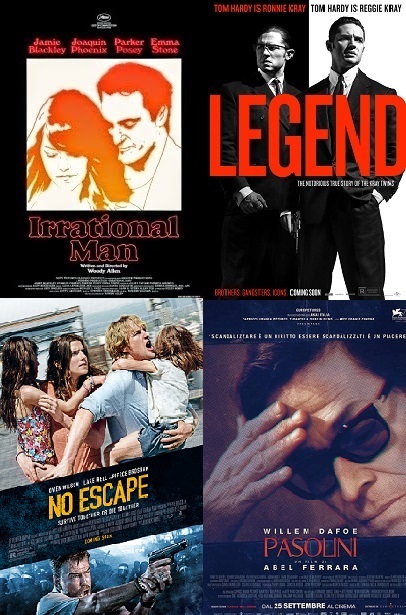 This week we sliced up the new releases, which include Tom Hardy’s dual-role as the Kray twins in “Legend,” Willem Dafoe as famous Italian director Pier Paolo “Pasolini,” and action-packed thriller “No Escape.” Cal caught this year’s German entry for the Foreign Language Film Oscar, “Labyrinth of Lies,” and Woody Allen’s latest, “Irrational Man,” starring Joaquin Phoenix and Emma Stone, plus the week’s birthdays see us discuss the great Alexander Korda, and everyone’s favourite beefcake, Mickey Rourke. Elsewhere, the pair of us lament the absence of “Phoenix” from this year’s Oscar hunt, a Lake Bell monologue is memorable for all the wrong reasons, and one of the biggest surprises on the podcast ever sees one of the week’s performers redeemed in Pete’s eyes. The week’s news: Featuring discussion of Wendy Ide’s exit from The Times, the week’s birthdays, and the winners from this year’s Venice Film Festival! It’s Episode 96 of In the Mood for Podcast, a British-based film podcast hosted by Calum Reed of Ultimate Addict and Pete Sheppard of In the Mood for Blog. This week is especially sweet for Pete, as Rebecca Hall features in two very different releases: Wally Pfister’s ambitious Sci-fi project “Transcendence,” and Patrice Leconte’s reserved romantic drama “A Promise.” Despite general dread at the prospect of Jason Reitman’s “Labour Day,” Cal managed to catch it, but did he find something of worth besides an appreciation for Diane Lane’s taste in men? 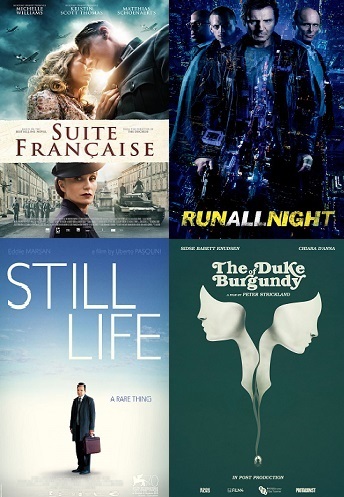 We both saw “The Amazing Spider-Man 2,” of which there are fairly lengthy preconceptions, and elsewhere we discuss some relationship news, an odd piece of casting, and the eclectic competition jury for this year’s Cannes Film Festival. Tune in to find out why Cal is on particularly grumpy form, how many times Pete had to recount the plot of “Transcendence” in order to perfect it, and our potentially epic plans for our upcoming 100th episode! Closing Segment: Our take on Wally Pfister’s “Transcendence,” discussing debut screenwriting feats, and cinematographers-turned-directors! 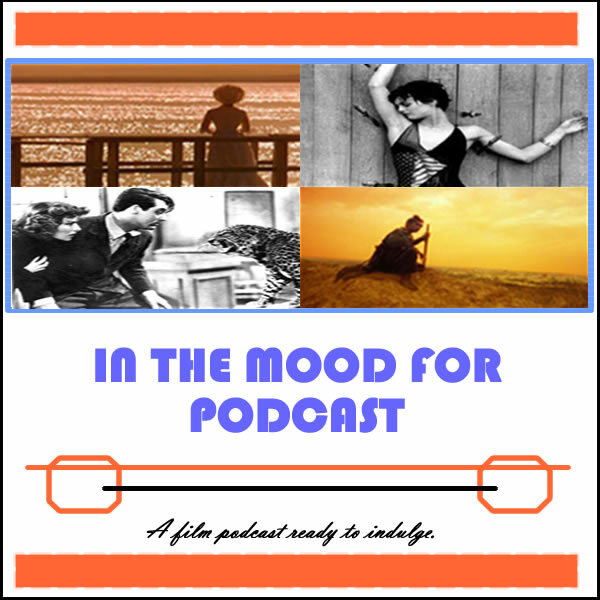 It’s Episode 70 of In the Mood for Podcast, a British-based film podcast hosted by Calum Reed of Ultimate Addict and Pete Sheppard of In the Mood for Blog. This week’s epic episode is our longest yet, as we give our take on two films with radically different approaches to marriage. We found romantic comedy “Baggage Claim” a tad bonkers, but certain members of its Paula Patton-led cast won us over, while we reveal whether Roger Michell’s “Le Weekend” can shrug off its terrible title and avoid becoming another chronicle of an elderly gentleman’s libido. We have reviews of Wikileaks drama “The Fifth Estate” and Kim Ki-Duk’s twisted thriller “Pieta,” before embarking on a lengthy discussion of Oscar highs and lows from years gone by. 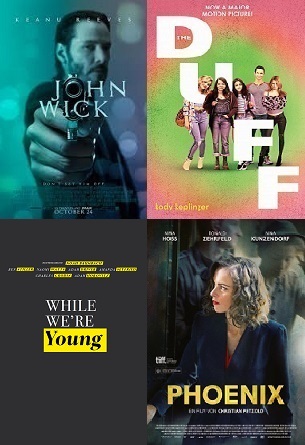 We take your suggestions, address a listener question regarding this year’s Best Actress race, and tease next week’s report from the London Film Festival. Tune in to find out which film prompted Pete to start juggling marshmallows, which critical faux-pas caused Cal to become appalled, which famous British actress played the flute in Pete’s school orchestra, and how Willem Dafoe’s character poster for “Nymphomaniac” may have us crying out for “Body of Evidence,” despite what Julianne Moore might think.